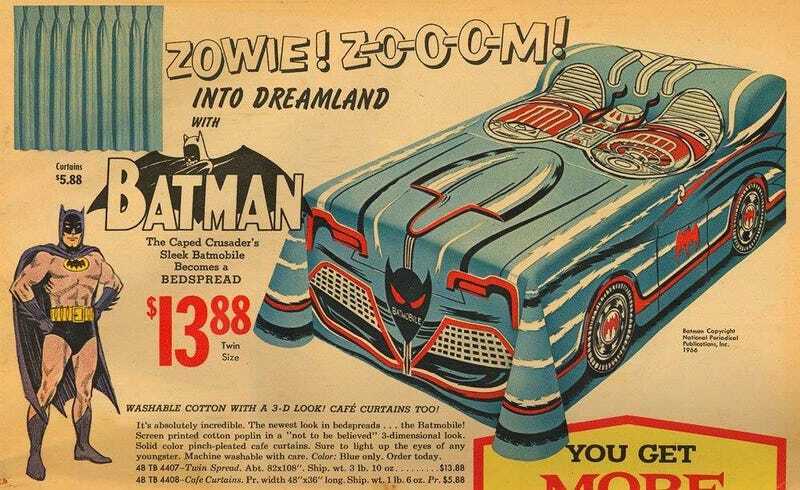 "The caped crusader's sleek Batmobile becomes a BEDSPREAD. It's absolutely incredible. The newest look in bedspreads..."
And just like that, a new saved eBay search is born.